Present your food professionally with the Spiro fine bone china shallow bowl 14.5cm. Designed and hand finished in England, this minimalist fine bone china shallow bowl is the optimal backdrop for your carefully crafted dish. 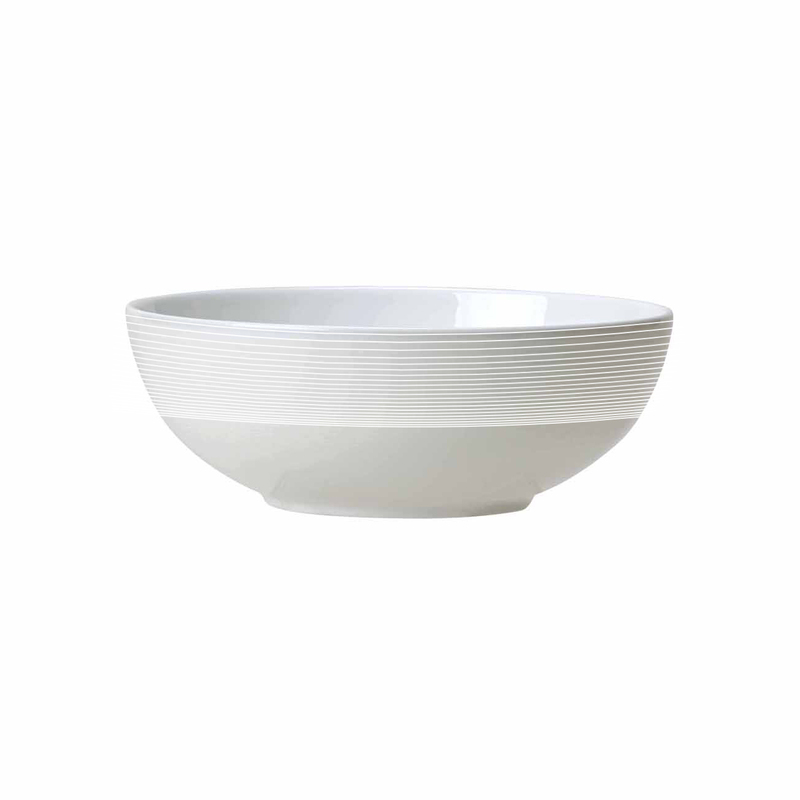 Present your food professionally with the Spiro fine bone china shallow bowl 14.5m. Join head chefs around the world who recognise that the perfect whiteness of bone china is the best way to showcase exceptional food. Designed and hand finished in England, this minimalist fine bone china shallow bowl is the optimal backdrop for your carefully crafted dish.